New Greek Recycling Program Seeks to Save | The Gettysburgian. The Greek Recycling Program has taken the recyclable “weekend waste” that Gettysburg College’s fraternities produce and managed it in a more environmentally-conscious way. 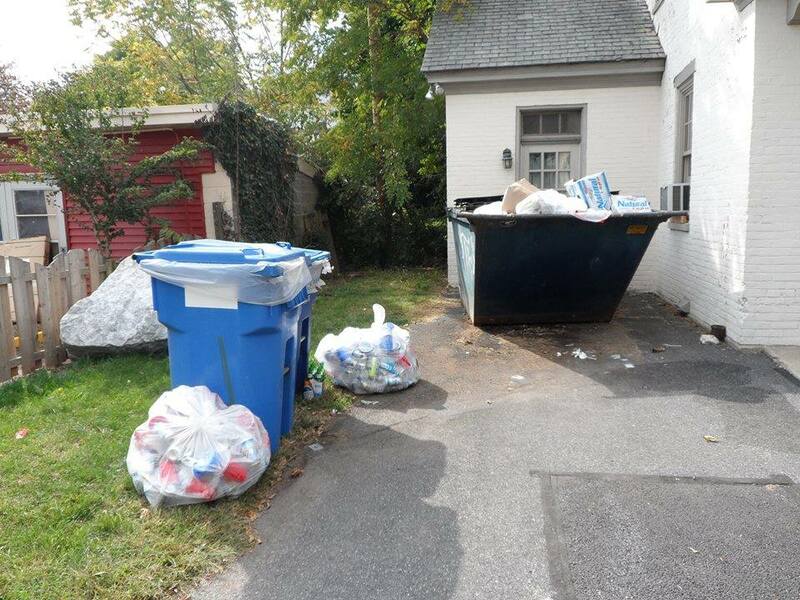 Currently the college’s fraternities do not have recycling bins outside of their houses – only trash bins. Therefore, their recyclable waste is disposed of by the same means as non-recyclable material. Conley has been integral in the program, serving as a go-between for fraternities and the college faculty and organizing the “recycling rescues” so far. She has managed to get Sigma Chi and Alpha Tau Omega on board with the help of Sigma Chi’s Kenny Lewis and Alpha Tau Omega’s Nick Uline. Some sororities and off-campus sororities have also gotten involved. Alpha Pi Omega, the service fraternity, has also helped in the past with the recycling rescues, of which there were two last semester. Gettysburg Research and Action by Students for Sustainability (GRASS) and Rotaract, one of the college’s student service organization, have also contributed to the recycling rescues last semester. Conley will be leaving to study abroad this semester, however, and she hopes that the program continues to expand in her absence. “We are hoping that it is going to grow a lot more, but the college has just started the program,” commented Conley. This will require two recycling interns to take her place. Currently, the program is completely voluntary, so those involved hope to reach out to all fraternities to step up and represent their fraternity. Conley has been working to make the recycling necessary for fraternities, and hopes that the project will implement such a policy in its next phases. One of the current problems with implementing such a mandate is that the Greek Recycling Program has been unable to get the college to purchase recycling bins to place outside fraternities. Conley stated that this is because such orders need to be made in bulk orders around the size of 50 containers, which could be an expensive venture for the college. Such a purchase would at least partially resolve a problem fraternities currently face, which is not having enough space in the current trash containers to store the used materials, recyclable or not. The facilities request was almost completed, but Conley’s supervisor, John Belcham, departed to work at Johns Hopkins before it could be finalized.